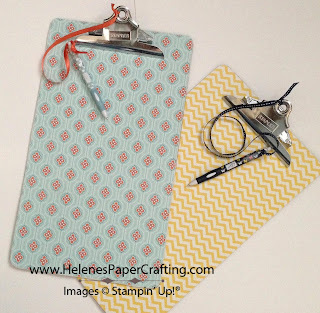 Helene's Papercrafting Helene's Papercrafting: Bye, Bye Boring Clipboards! Trendy organization. Add a to-do list to a clipboard that you create. Not-so-ordinary notes. 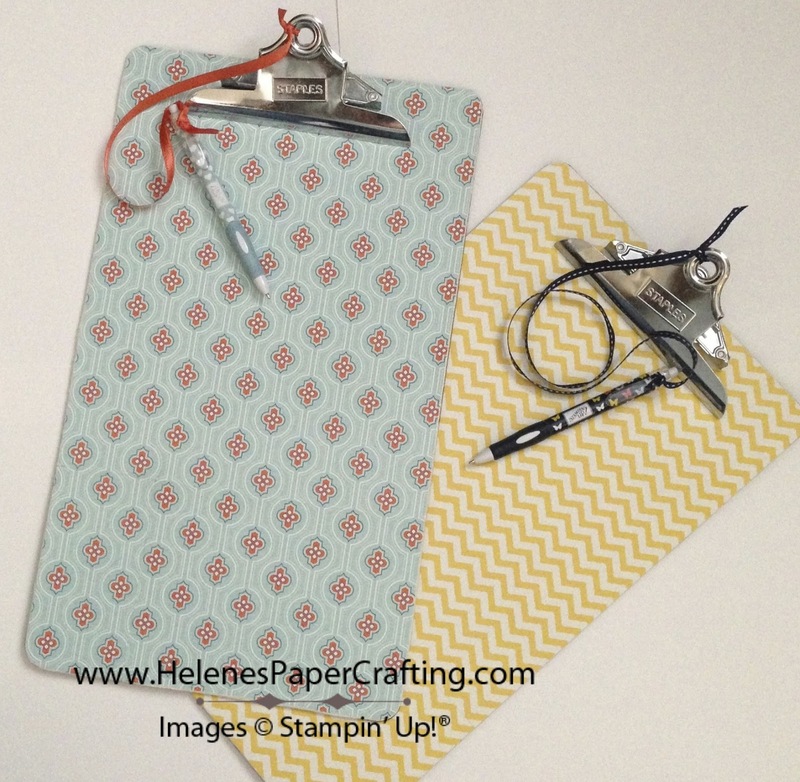 Add a strip of Designer Series Paper to the top edge of a notebook and clip to your new board. My ideas. Clip inspiration to the clipboard, like magazine cut-outs.